Your hair deserves to be pampered after a stressful long day from school or work. After taking a nice shower at night, it would best that you spend time with hair and giving some TLC (Tender Loving Care) through brushing your lovely crowning glory. Plus, brushing your hair on a regular basis will make it more healthier and shinier. In this article, you will know some tips on how you can brush your hair properly and with love. First, it is important that you choose the right brush or comb. It is highly recommended that you use a paddle brush. A paddle brush is the all-around best option for pretty much any hair type. 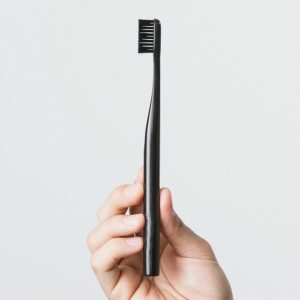 It detangles but is still gentle because the teeth of the brush are further apart and not too dense. Second, it is a major “NO! NO!” to brush your hair while it is still wet. 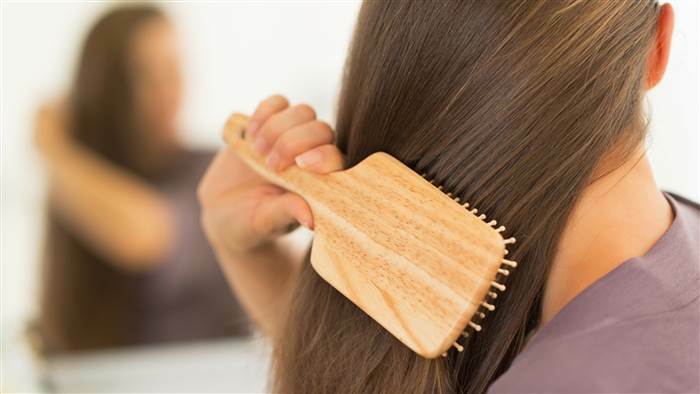 Brushing your wet hair can cause major breakage since dampness weakens the hair shaft. Since the goal here is to spend some quality time with your hair, have the time to gently towel dry your mane before brushing it. Carefully blot and squeeze your main with a clean towel. Third, brush your hair bottom up. Brushing your hair from the bottom up feels unnatural at first. But starting low allows you to tackle tangles along the hair shaft without the risk of pulling your follicle out of its root. Beginning at the bottom, separate your hair into horizontal sections and brush each layer one at a time until your strands are silky smooth. Lastly, do not forget to also show some love to your scalp. Always remember that a healthy hair comes from a healthy scalp. It is important that you massage your scalp in order for it to release the natural oils that can make your crowning glory healthy. With this, did you know that there is this all natural product that you can use that can help in promoting a healthy hair and scalp but also can help in promoting hair growth? NOVUHAIR® Topical Scalp Lotion’s 19 natural ingredients and essential oils increase the nutrition and blood circulation of the scalp, helps in the activation of hair follicles’ dermal papilla and promote stimulation of hair growth, especially when used as directed. A clinical study and numerous testimonials have proven NOVUHAIR® Topical Scalp Lotion’s life-enhancing benefits of substantially reducing hair loss, while inducing new hair growth. Tonight, make sure that you give some TLC on your hair and scalp. Achieving a healthy hair and scalp requires a lot of dedication and being careful in all you do with your mane. You should always be mindful on the things you do to your hair. In this article from NovuNews, you will know the bad hair habits that you need to stop doing. Shampooing your mane on a daily basis can definitely wash out all the natural oils and nutrients that make your hair shiny and healthy. It is best recommended that you shampoo your hair every other. Yes, switching from one hair color to another look fun but, do not forget that inspite the happiness you have achieved with your new vibrant hair color, your hair suffers from all the extraneous chemicals from hair dyes. This harmful chemical can cause serious hair damage and breakage. Styling your hair into tight ponytails or hair buns can definitely stress out your precious crowning glory. Tight hair up dos may look sleek but always take into consideration that tying your mane too tight may cause hair fall. With these bad hair habits, you must break, you should also start to practice a good habit for your mane. You may start using natural products that can not only help your hair recover from all the damages but also can promote hair growth. NOVUHAIR® Topical Scalp Lotion’s 19 natural ingredients and essential oils increase the nutrition and blood circulation of the scalp, helps in the activation of hair follicles’ dermal papilla and promote stimulation of hair growth, especially when used as directed. A clinical study and numerous testimonials have proven NOVUHAIR® Topical Scalp Lotion’s life-enhancing benefits of substantially reducing hair loss, while inducing new hair growth. LOSING YOUR MANE DUE TO OVERTHINKING? It is normal that you think and plan about your everyday chores, errands and work. That is part of the adult life, but you must take into consideration that there is a big difference between healthy thinking and overthinking. Healthy thinking includes how you think to function well on the things that you do, how you choose your clothes, basically all the things that you do on a normal basis. But, have you ever encountered that you ponder on a problem or situation that has a very simple solution, and yet you make things more complicated? You must be overthinking things. But did you know that too much overthinking may lead to excessive hair loss? Overthinking is often associated with anxiety. You know that anxiety triggers bad chemical reactions on your body and one of these is excessive hair loss. Hair loss could be a serious condition and definitely affect how you feel and your overall confidence. You should try loosen up, take a break, go on an out-of-town trip. Spend time with your family and friends. Enjoy the company of the people around you. 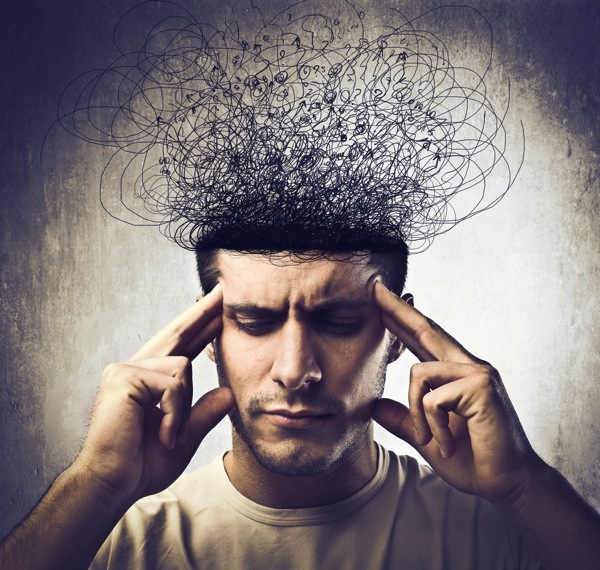 These activities may help to lessen your overthinking problem. On the other note, nature has the answer to address your hair related problems especially hair loss you got from overthinking. NOVUHAIR® Topical Scalp Lotion’s 19 natural ingredients and essential oils increase the nutrition and blood circulation of the scalp, helps in the activation of hair follicles’ dermal papilla and promote stimulation of hair growth, especially when used as directed. A clinical study and numerous testimonials have proven NOVUHAIR® Topical Scalp Lotion’s life-enhancing benefits of substantially reducing hair loss, while inducing new hair growth. https://www.novuhair.com/wp-content/uploads/2016/11/overthinking-man.jpg 570 600 admin http://www.novuhair.com/wp-content/uploads/2016/04/Novuhair-New-Logo-270-61.png admin2016-11-04 15:48:442016-11-04 15:50:46LOSING YOUR MANE DUE TO OVERTHINKING? 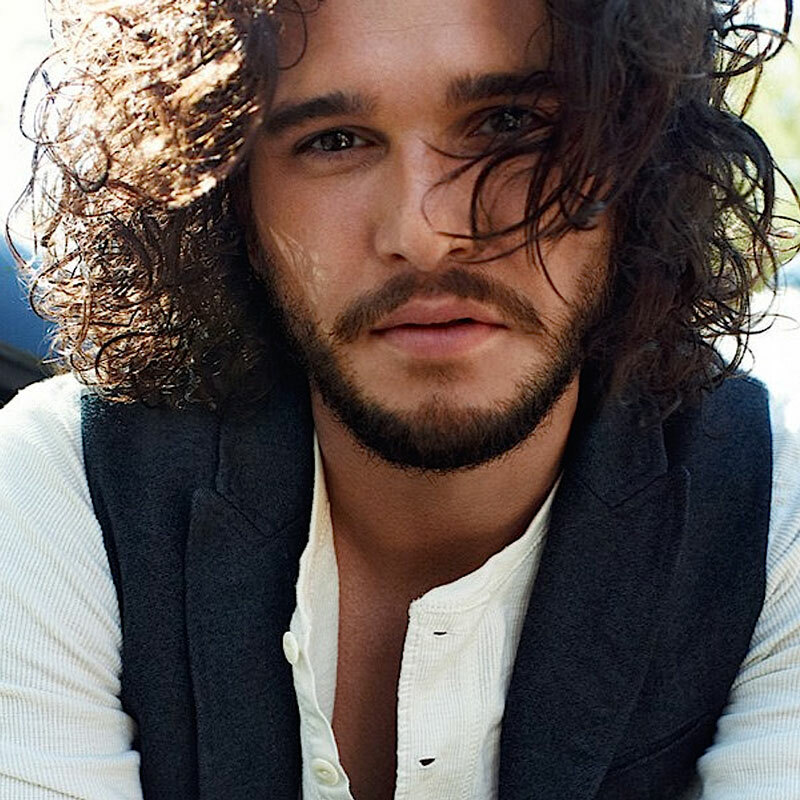 Are you the guy who does not know how to manage your curly mane? Usually, it takes time for you to fix, maintain and style your curly hair, right? This article will give you some tips on how you will be able to pull off those curls. 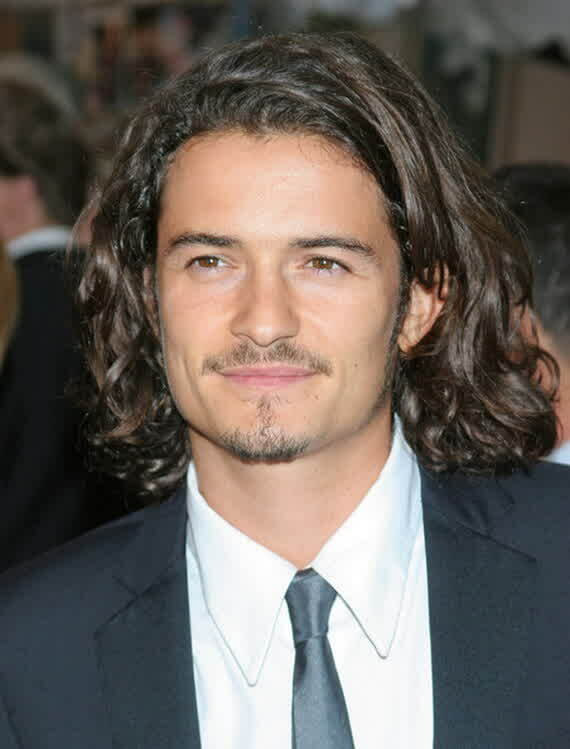 Is one of the favorite looks for men with curly hair. You should make sure that the top layer of your hair is just long enough to give the style movement and texture without creating an overwhelming amount of volume. This look is easy enough to style. This is a great style if you want a professional look with a casual feel. 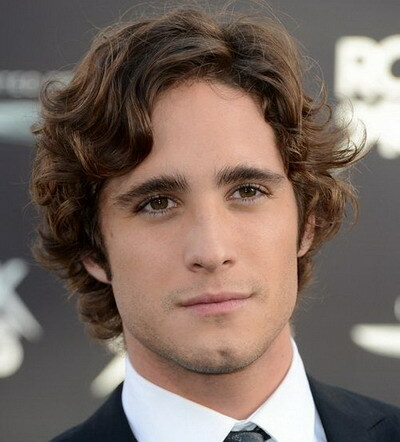 This would also be a great in between style for men growing out a shorter cut. The good thing about this hairstyle is that you just have to neatly comb your hair. 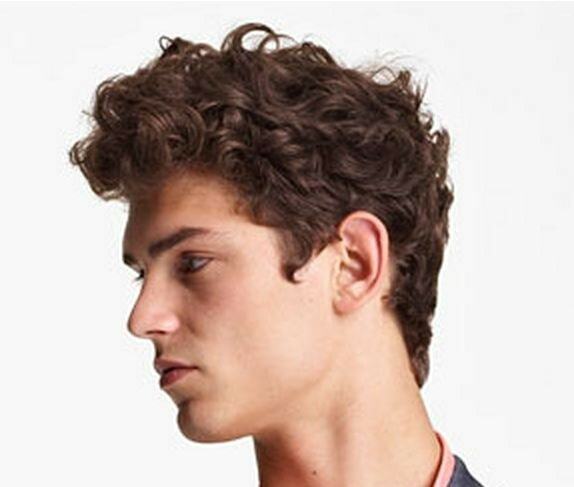 Give your curly hair a fuller look with this hairstyle. Having a full long curls is definitely perfect for you if you have maintained a healthy curly hair. Since you do have a natural curly hair, it is best that you take care of it using natural hair products like Novuhair Topical Scalp Lotion, Novuhair Herbal Shampoo and Novuhair Herbal Conditioner, which will help in promoting hair growth, and help in making your hair and scalp healthier. Yes, you are busy going around with work, meetings, sports and with your personal stuff, but there is this other important thing that you should not miss. Be sure to maintain that smart, manly hair on its proper style. It is important for a man to maintain his good appearance, a good haircut and hairstyle that will compliment your manly figure will be an ace. You should try going to your favorite barber on a regular basis, probably a once a month visit will definitely do. Once your barber is ready to get you a nice haircut, try instructing him on how he should trim down your hair. Start suggesting or point out a picture of the haircut you wanted to have, maybe a photo from a magazine or an image you browsed through the internet. It is important that your hairstylist has a clear reference of the haircut you wanted to have. After the good haircut, you should know on how you would manage to style your hair. You may apply water-base hairstyling products so that it will be easier for you to weave that hair of yours. In order to maintain a good looking, healthy hair, you should also try using products that may give your hair and scalp a lift. You should start using hair products that are made from natural ingredients and that will make your hair healthier and has a capability to prevent hair loss and promote hair growth. Yes, hair loss is one of the scenarios that you want to prevent. It is normal that your hair sheds from 50 to 100 strands, beyond this number is quite alarming and may lead to hair loss and you have to do something to preserve your crowning glory. In this article, several ways to battle hair loss will be revealed. 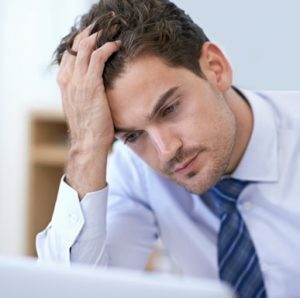 Identify the cause of your hair loss. Include protein-rich food to your diet. 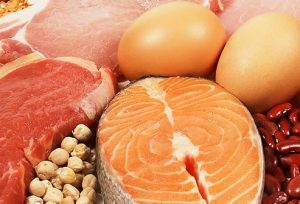 Protein-rich food such as eggs, fish, soya, chicken and others will help in preventing your hair from falling out of your head. With an insufficient supply of protein in your body, potentially the possibility of hair growth will decrease. Also, poor protein intake will also make our hair brittle that will lead to hair loss. Try using products that are made from natural ingredients. Natural-based hair products will play a big role in saving your mane and in promoting hair growth. 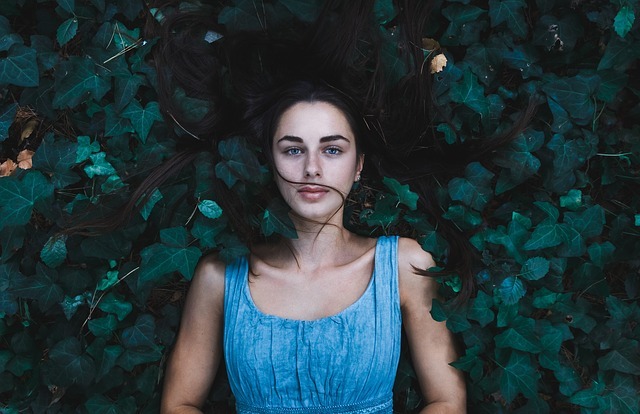 Hair products which are made from natural ingredients will cause no harm on your hair and scalp since they are nature’s gift to help prevent and treat hair loss. It is time to discover a product that is made from nineteen (19) natural ingredients. NOVUHAIR® Topical Scalp Lotion boasts of its natural ingredients such as Zingiber Officinale (Ginger), Moringa Oleifera (Horse Radish Leaf), Centella Asiatica (Indian Pennywort), Coco Mamillaris (Virgin Coconut Oil), Panax Ginseng (Ginseng), Phyllanthus Emblica (Indian Gooseberry), Aloe Barbadensis (Aloe Vera), Piper Nigrum/Longum (Black Pepper), Biotin (Vitamin H), Dexpanthenol (Vitamin B5), Acacia Concinna (Shikakai), Cymbopogon Citratus (Lemongrass), Mentha Piperita (Peppermint), Carthamus Tinctorius (Safflower), Lavandula Officinalis (Lavender), Rosmarinus Officinalis (Rosemary), Propanediol, Distilled Water, and Natural Ethyl Alcohol. 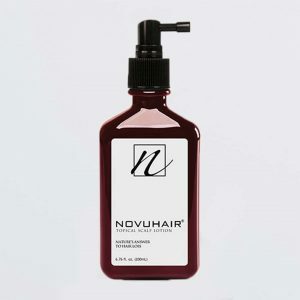 NOVUHAIR® Topical Scalp Lotion is a natural solution that helps prompt new hair growth, prevents dandruff and scalp itchiness and aids overall cleansing and detoxification. 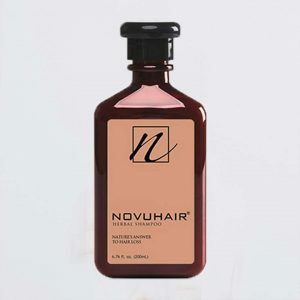 NOVUHAIR® Topical Scalp Lotion is best used with NOVUHAIR® Herbal Shampoo and NOVUHAIR® Herbal Conditioner. So if you are currently thinking that it is impossible to fight hair loss, the answer is no! Start using NOVUHAIR® – nature’s answer to hair loss. It doesn’t matter if it’s a trip to the beach, out-of-town, a business trip, or just plain and simple weekend adventure. We all need to groom ourselves and be hygienic. We can be as outgoing as we can be, but we still need to bring the essentials to bring out the confidence and make us look and feel good about ourselves. Well, in any event, success favors the well-groomed. 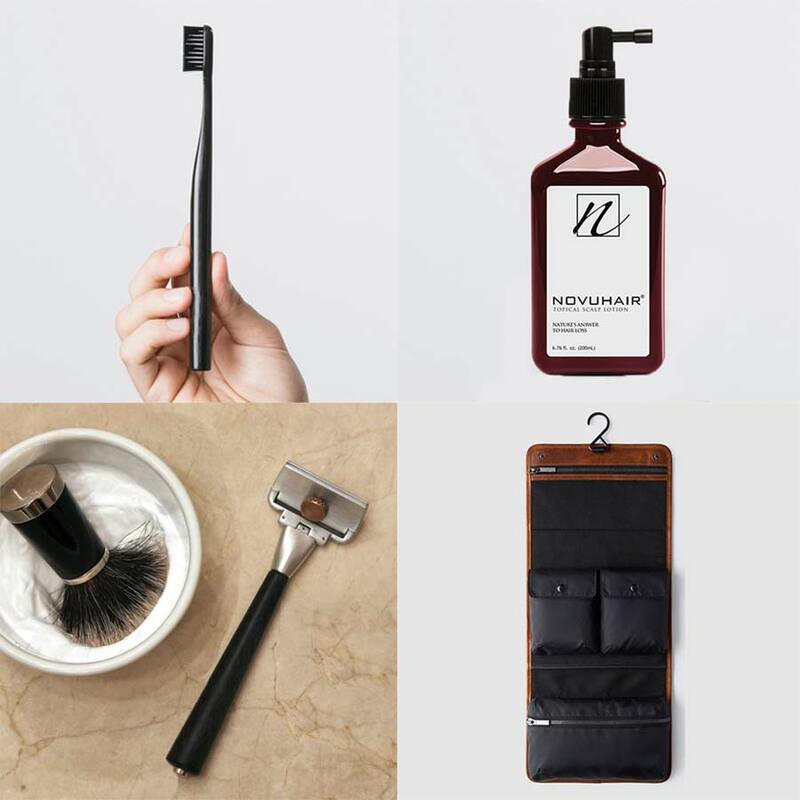 For this reason, we came up with a gentleman’s grooming essential kit fit for any occasion. It’s better to ‘stay ready’ than frequently ‘getting ready’, in that way, even at short notice, we are prepared to engage looking good and confident. These essentials are the most basic part of the kit – toothbrush and the toothpaste. Although hotel rooms are giving away these essentials, it’s a need to bring our own toothbrush and toothpaste to match our oral care needs. Example, some of us have sensitive teeth that may require a soft-bristled toothbrush and a toothpaste formulated for sensitive teeth. In this case, most hotel rooms may not provide this special need. These may become very handy when stumbling upon spicy food that you would hate to resist. A comb is inevitably vital to grooming. Those 10 little fingers may become handy at times for a quick run through your hair, but still it’s a need to add up the comb in the list. 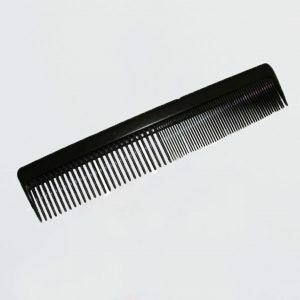 Combs are the best tools for hair care and tidying up our mane. A group of young men in Adelaide, South Australia coined the term “Movember” and the idea of growing moustaches for charity throughout the month of November, aimed at raising cancer awareness. But No-Shave November only comes once a year. Being clean-shaven will never go out of style. Having a nice razor in the kit is part of being prepared to any event that may require us to be clean and looking good as much as possible. More so, majority of the results from various surveys have shown that women are more attracted to clean-shaven gentlemen. Again, success favors the well-groomed. 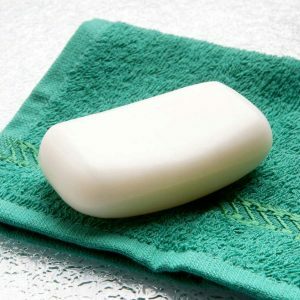 We all need to add up soap in the kit since not all soaps freely provided may suit our individual needs. Some of us may have sensitive skin that needs specific soap formulation or all out organic ingredients. The main purpose of the soap is to clean our body. However, there are soaps that also disinfect aside from cleansing. Better if you have a body soap that can be used as a hand soap as well. Heavily advertised chemical based shampoos won’t educate us on the aftermath of frequent use. Simply check the labels. Majority of the ingredients used in the formulation are synthetic that may eventually lead to hair damage or worst, hair loss. Herbal shampoos on the other hand contain natural ingredients that may pose no harm to the hair and scalp. Lucky are those without hereditary hair loss. Unfortunately, hair loss also comes with age, a challenge that we have to face in due time. But remember, an ounce of prevention is better than a pound of cure. Prevention is the key. Nourish your hair and scalp with a topical scalp lotion that boasts of natural ingredients that help promote healthy hair growth, a better way to maintain your mane. We can gather more than what have been listed. 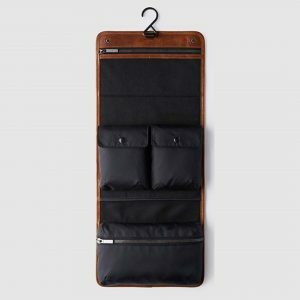 These are just essentials that won’t even require a large grooming kit bag nor an expensive bag for as long as it’s handy and reflective of our individual personalities. 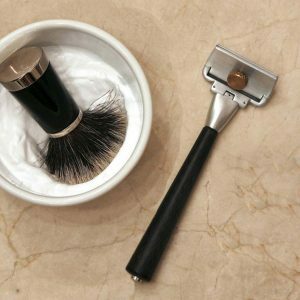 With the help of this basic grooming kit guide, you can start gathering the essentials. Start small and complete it as you go on. If you look good, you’ll feel good and do good. Share with us your thoughts via the comment section or post them in our social media accounts. IT’S RAINING: KEEP YOUR CROWNING GLORY FROM REIGNING! Rainy season has officially started. Some studies have shown that rainwater may be harmful to our crowning glory. 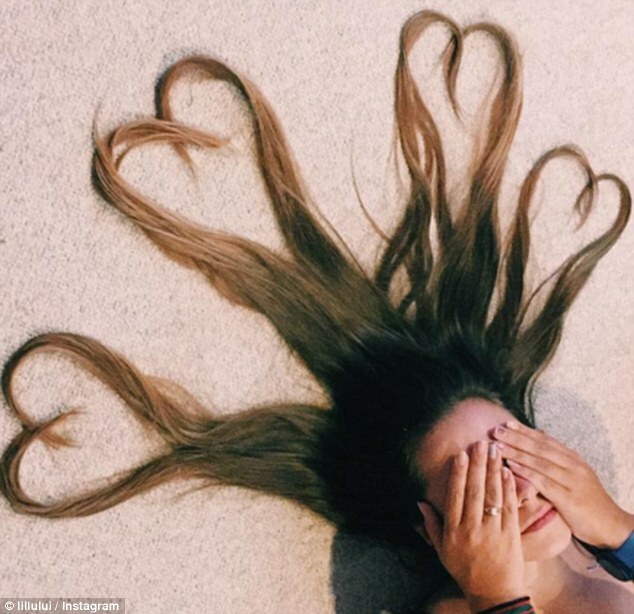 Each hair strand is comprised of long bundles of keratin proteins. Keratin proteins act as an external protective protein in the cuticle (the outer layer of a hair strand) and an internal structural protein in the cortex (the inner core of the hair strand that helps determine its strength). The acidity of the rainwater may cause hair-related problems such as itchy scalp, brittle hair, dandruff and hair shedding. These tips may help you protect yourself, especially your hair from being soaked wet by rainwater. Bad weather isn’t much of a problem if you have an umbrella. The device offers an instant shade from rain showers and protects your hair from being wet and frizzy. A tousled or romantic up-do will get frizzier the wetter it gets, whereas a sleek style, particularly a lose ponytail, will survive the rain much better. You’re better off not washing it, but instead adding plenty of product to weight down the hair and prevent it from lifting up into flyaways. But when the monsoon rains and thunderstorms have cornered you, and your hair is already wet from the heavy rainfall, immediately rinse your hair when you get home. Use the right hair care products in order to maintain healthy hair and scalp and avoid hair loss. It is best to use a natural topical scalp lotion, herbal shampoo and herbal conditioner like Novuhair 3-in-1 pack. Novuhair Topical Scalp Lotion contains 19 natural ingredients that will help promote healthy hair and scalp, prevent excessive hair shedding, aid in stimulating hair growth and improve the overall cosmetic properties of your hair. 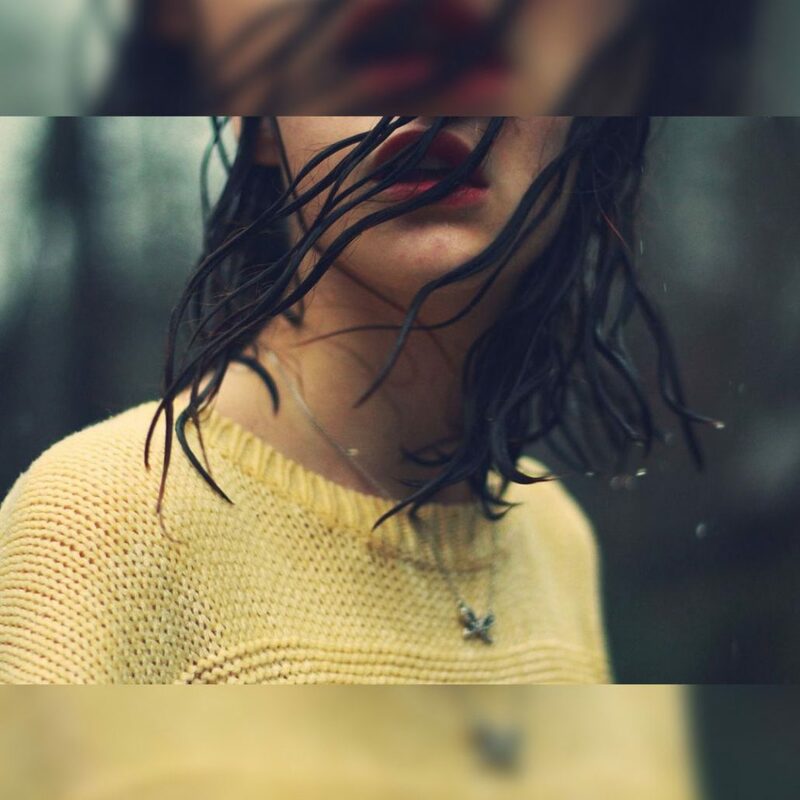 https://www.novuhair.com/wp-content/uploads/2016/07/RAIN-ART01.jpg 1080 1080 admin http://www.novuhair.com/wp-content/uploads/2016/04/Novuhair-New-Logo-270-61.png admin2016-07-29 11:38:582016-07-29 11:40:29IT’S RAINING: KEEP YOUR CROWNING GLORY FROM REIGNING! Hans Palacios candidly refers to his past life, as he calls his younger years, as the dark ages. It bore no resemblance to his current state of mind and well-being. Physically, he felt like an old man, with so many pains and ache for his age. Until he discovered the wonders of a natural food supplement that claims to protect the body from chronic diseases, among others. Although hesitant and doubtful at first, he eventually tried it after numerous unsuccessful pain medications. Lo and behold, Hans felt like a new man – the numbing pain and aches were gone and he felt a rush of energy like never before. Hans was overwhelmed by his experience that he started learning about natural therapies. Being an entrepreneur, he saw the great potential of nature-based products and therapies and started advocating natural health. Natural health is an alternative approach to health care that relies on the healing properties of nature to promote health and wellness of the mind and body. Now in his late 40s, Hans has become of the country’s leading natural health advocates, juggling his advocacy with his roles as a family man and businessman. Five years ago, partly due to work-related stress and some of it genetic, Hans started to notice his receding hair line and thinning hair. While looking for a natural remedy to his hair issue, Hans’ friend, wellness guru and columnist Cory Quirino, told him about Novuhair. Made of herbal ingredients like moringa oleifera, panax ginseng, aloe vera, and essences of rosemary and lavender, among others, Novuhair definitely met Hans’ standards. He was even more pleased when, after only two months of continued use, he saw unbelievably great results. His hair was becoming noticeably thicker and fuller, even his barber remarked on it. From then on, Hans has never looked back and continues to use Novuhair to this day. For a natural health advocate like Hans, his crowning glory deserves nothing less than Novuhair, nature’s answer to hair loss.